Close up or macro photography is expensive and challenging. 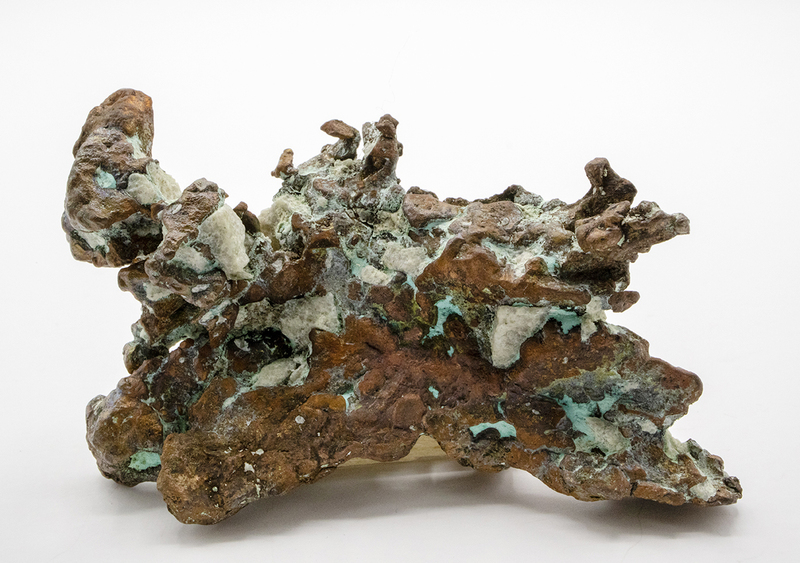 Never-the-less, it can bring to life specimens you’ve self-collected or bought at rock shops or over the internet. This is a picture of native copper. I bought the material for a few dollars at a rock shop in Duncan, Arizona. Doug Barlow, the owner, says the copper came from the Santa Rita Mine near Silver City, New Mexico. This copper piece is only two inches across but a photograph brings it alive for easy, contemplative viewing. Click on the image or here to see it up close. This was taken in one shot, no special techniques in Photoshop required. Just a macro lens on a tripod, with the rock inside a light tent. Notice how the support stand is visible? I’ll try to remove it the next time I photograph the copper. There is always room for improvement in this hobby within a hobby. Oh, and I hope to have more closeups like this in my book. This entry was posted in non-fiction writing, Photography, Photoshop, southwestrockhounding.com, Uncategorized and tagged closeup photography, macro photography, native copper, photography as a hobby, rock gem and mineral specimens. Bookmark the permalink.